Last week brought the tremendously successful opening of Garden Lights, Holiday Nights. But that wasn't the only opening at ABG last week. Opening in the Tropical High Elevation House starting last week is the Panamanian orchid, Maxillaria scalariformis. Opera lovers familiar with the famous Milanese opera house La Scala will know that scala means ladder, and thus the epithet scalariformis refers to the ladder like arrangement of the leaves on the stems. Of the twenty or so species of Maxillaria in the HEH, Maxillaria scalarformis is one of my favorites. The flowers and the leaves are suffused with a lovely deep rose blush. So gorgeous. We received our Maxillaria scalariformis about four years ago. Clearly this plant deserved a prominent spot at eye level. Since there was no room on any of our epiphyte trees at the time I simply wrapped the root ball in a mixture of moss and tree fern fiber and wedged it in a rocky crevice where it has been growing happily ever since. Phaius are very much underutilized in conservatory landscapes in my opinion. 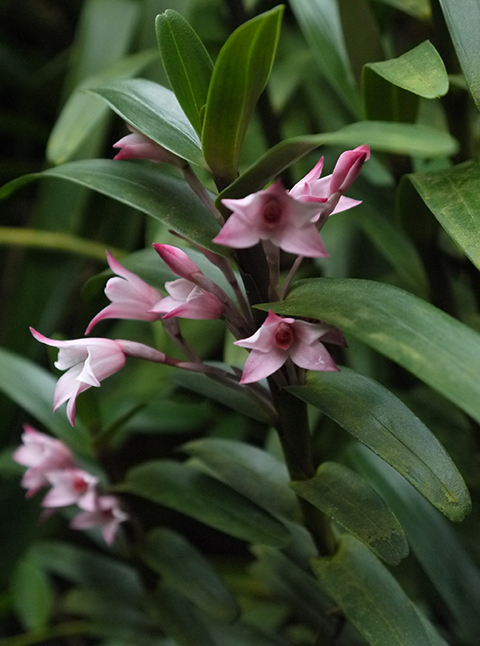 Like Peristeria elata (the Dove Orchid) and Warrea warreana, two other tropical terrestrial orchids, it makes a very striking back-of-the-border element, with bold upright spikes that reach 4' in height. 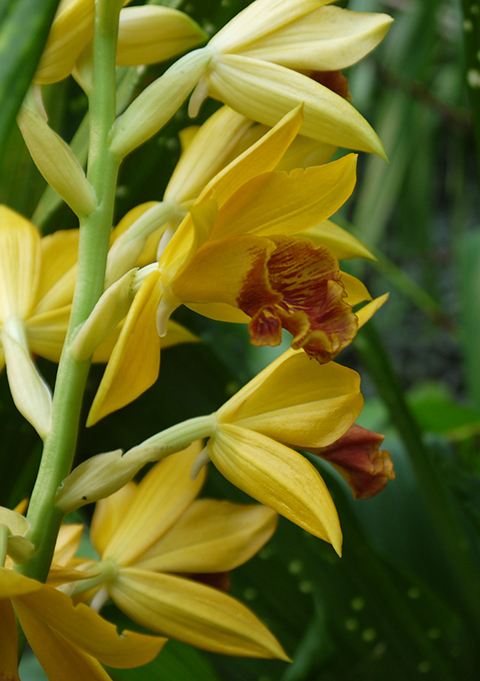 Phaius are among the most forgiving of orchids--they grow vigorously under intermediate to warm conditions in just about any good quality soilless medium. The only serious strike against them is that they are very attractive to scale insects. Phaius tankervillae (the Nun's Orchid) and various intergeneric and interspecific Phaius hybrids are readily available in the retail trade. The hybrid photographed above in the Orchid Display House has the most extraordinary foliage--in the lower right hand corner you can see the glowing yellow spots on the deep green leaves. 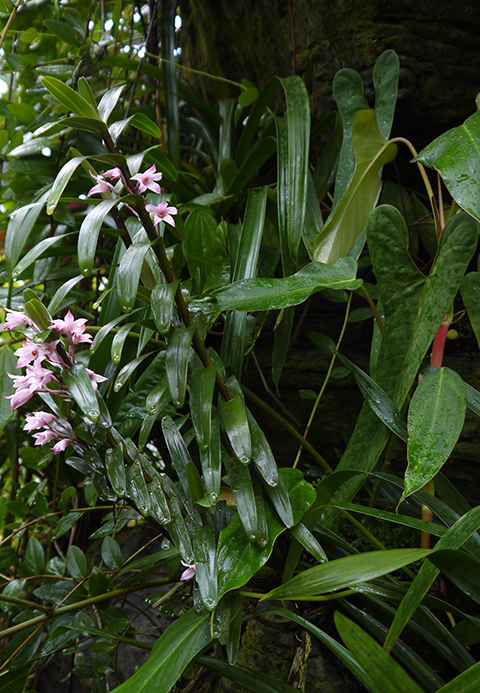 You can enjoy both of these plants in flower for the next couple of weeks.